Three new retirees from the Miami Trace and Washington schools were welcomed heartily at the August meeting of the Fayette County Retired Teachers Association, when some 50 members gathered in Grace United Methodist Church’s Fellowship Hall for a picnic-style supper catered by The Willow. Shown are (from left) new retiree Carol Waddle and her “picnic buddy” Cathy White; FCRTA President Susan Stuckey; “picnic buddy” Elise Garringer with new retiree Jeff Sagar; and new retiree Carolyn Puckett with her “picnic buddy” Linda Hiser. As a community service project, the Fayette County Retired Teachers Association members attending the summer picnic brought in numerous bags filled with new school supplies. 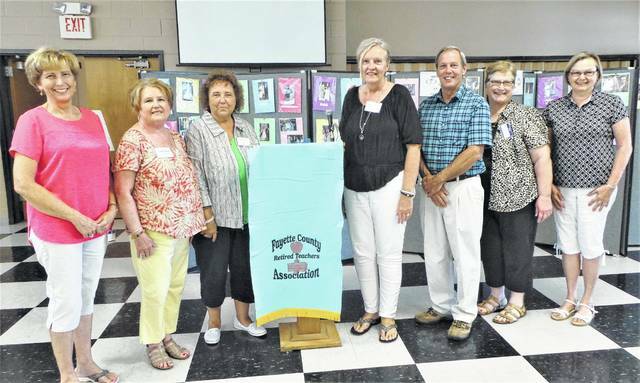 https://www.recordherald.com/wp-content/uploads/sites/27/2017/08/web1_20170803_164345.jpgThree new retirees from the Miami Trace and Washington schools were welcomed heartily at the August meeting of the Fayette County Retired Teachers Association, when some 50 members gathered in Grace United Methodist Church’s Fellowship Hall for a picnic-style supper catered by The Willow. Shown are (from left) new retiree Carol Waddle and her “picnic buddy” Cathy White; FCRTA President Susan Stuckey; “picnic buddy” Elise Garringer with new retiree Jeff Sagar; and new retiree Carolyn Puckett with her “picnic buddy” Linda Hiser. 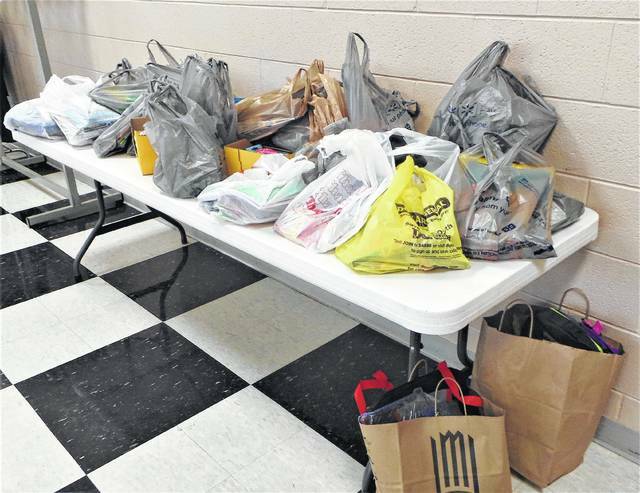 https://www.recordherald.com/wp-content/uploads/sites/27/2017/08/web1_20170803_171132.jpgAs a community service project, the Fayette County Retired Teachers Association members attending the summer picnic brought in numerous bags filled with new school supplies.